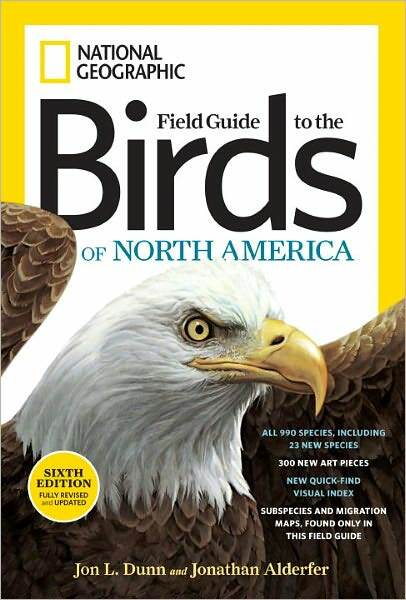 For all those bird bibliophiles out there, and you know who you are, a new National Geographic Field Guide to the Birds of North America, 6th edition has hit the book stores. And for you on-line shoppers Amazon has it for $18.26, which would make a great stocking stuffer for any old or new birder. As for myself I’m not sure whether I’ll pick it up or not. Already owning a 1st and 4th edition I think I’ll wait, or better yet take a peek at it at my local Barnes and Nobel and see if it’s worth while or not. However if your a birder who doesn’t own a copy of a National Geographic Field guide, I would highly recommend that you buy one. And what better time than now with the holiday season in full swing and I’m sure all you birders have been extra good this year. Santa watches you know! 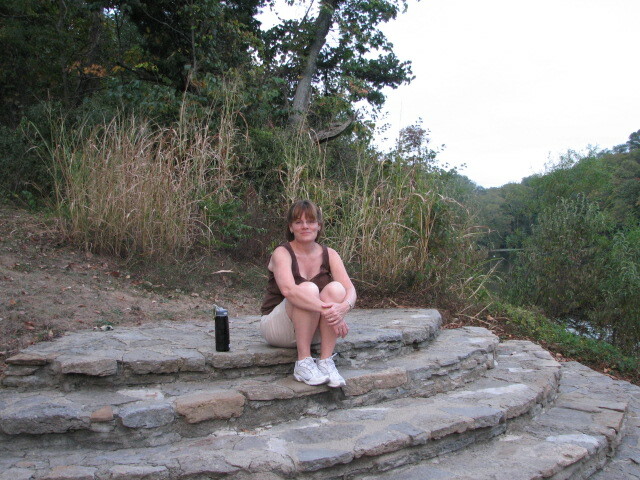 After a rather stressful day at work, Kathy suggested that after dinner we go for a walk around Sharon Woods. Not one to turn down any opportunity to be outside, (even though I was really tired), I grabbed my binoculars and camera and headed out. Now when it comes to “going for a walk” that’s what Kathy has every intention on doing. 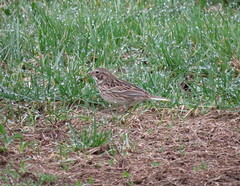 Me on the other hand, will stop and do some birding. Which kind of interrupts the whole walking process. Sharon Woods isn’t my favorite place to go birding. 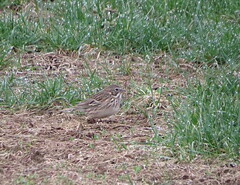 Being a suburban park, there is a lot of activities going on that’s not conducive for birding. Birds are there, but they seem to be a little more secretive. I guess I haven’t given it a fair shot. But I would have to get there real early to see what’s cookin’. Well the walk was very nice, and the birding was minimal at best. So I wasn’t surprised. But the real surprise awaited me at the end of the walk. 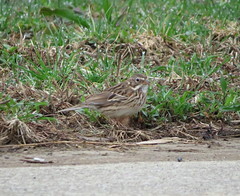 As we were approaching the harbor area where we were parked, I noticed a bird out of the corner of my eye. Common Nighthawk. Making my way back to the overlook, and the larger portion of the lake, there they were. 20 plus Common Nighthawks in various forms of aerial acrobatics. If only my camera could have captured this moment. I can’t remember seeing such a concentration of Nighthawks. We were losing light rather quickly, so we left them with fond memories. I did not take this picture of a Common Nighthawk. As I put that evening into perspective, I feel that it isn’t the number or the different varieties of birds we collect on an outing, but the special people we’re with at the time. That’s why birding is such a special past time.